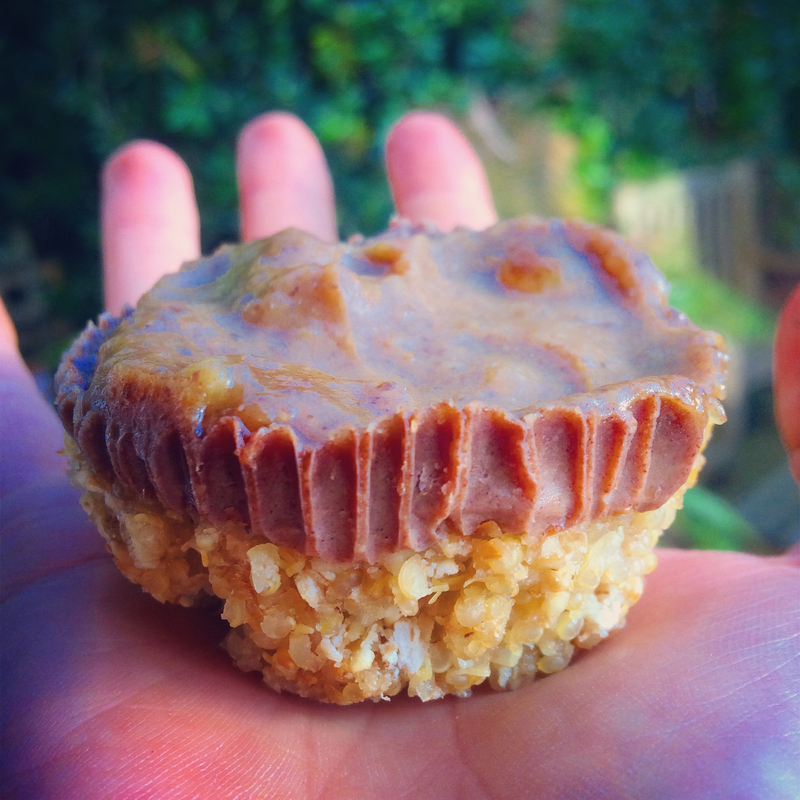 High Protein Chocolate & Quinoa Muffins + Some Yoga Class News! First of all…. Thanks to all of you who entered the competition last week to win a copy of Marconi Union’s Weightless. Congratulations to the winners have all been contacted and will be receiving their gifts soon – I hope the person you pass it on to really enjoys relaxing to the amazing sounds! It’s important to get your fill of protein early in the day – not only does a high-protein breakfast, mid-morning snack or post-exercise boost help to repair and strengthen muscle tissue, it also offers a filling and satisfying way to provide your body with essential vitamins and nutrients. Protein is a vital building block of bone, muscle, cartilage, skin and blood – your hair and nails are basically made up of the stuff too…. Despite the new craze for consuming high amounts of protein in the form of powders, shakes and processed bars, we’re actually probably getting good amounts of protein in our diet already – it’s just a case of changing the quality not necessarily the quantity. Our bodies aren’t able to properly digest common animal protein sources like meat and dairy, which leads to a build up of toxins produced by the meat or other substance that is slowly making its way through the intestinal tract (taking anywhere from 20 to 48 hours, and longer for those who have slower digestion or are unhealthy). Instead of being quickly expelled – as the toxins are with other meat-eating animals – our bodies aren’t so efficient at getting rid of these harmful substances. Instead we absorb the toxins, which of course leads to us feeling a little worse for wear physically and energetically. What you choose to consume is entirely your choice, but if you’re looking to feel lighter, ‘cleaner’, more vibrant, and actually if you want to smell a little nicer (yes, eliminating dairy and meat actually results in reduced body odour!) then click here for a few vegan protein sources you can add to your daily dishes. Meanwhile, here’s a delicious recipe to get you started. Perfect for a mid-morning or afternoon pick-me-up, a post-exercise energy boost, or as an excuse to eat something that tastes like chocolate without all the sugar and added extras…. This recipe is loaded with vegan protein sources such as quinoa and tofu, as well as antioxidants from raw cacao, healthy carbohydrates from cashews (the nut highest in carbohydrates), and lucuma. Vanilla extract is calming for the nervous system, and natural sweeteners such as pure maple syrup or honey take the place of refined sugar, so you know you’re fuelling your body with all-natural, healthy goodness. 10 blended dates (soaked for a few hours) *Remove the stones before you blend them! When cooled slightly, add your quinoa, oats, and honey or alternative together and mix well. Add your tofu, cacao, maple syrup, cashews and lucuma to a blender and pulse until smooth. When the base has been in the oven for around 20 minutes, take it out and spoon on the mixture for the filling. When the filling is a little cooler, blend your 10 soaked dates, and spoon over the top of the filling to create a healthy, vegan ‘caramel’ topping. Place in the fridge for a few hours to set, or of course try one straight away! Since it’s the season of giving & sharing, share these out with friends and family and help them realise how accessible it is to eat healthy! + One last piece of news this week: When I return from India this Winter, starting January 5th 2015 my Monday evening Vinyasa Flow classes will now be open for everyone to attend! Classes will be held at Wakehams Green Community Centre in Pound Hill, Crawley – and yes the idea is to create community. A group of us practicing and learning together, sharing something we all love, and creating a positive atmosphere. Come warm your body and calm your mind in the new year! Classes are £6.50 or pay £30 for 6 weeks, from 7:15-8:15pm every Monday evening. Contact me if you need more details. If you still haven’t been to your first yoga class yet, maybe now is the time to try, in a light-hearted and friendly atmosphere…. it’s about practice not perfection or performance….See you there! Yes! Can always rely on Emma for a healthy recipe. Can’t wait to ‘wake’ up my quinoa that is languishing in my kitchen cupboard. I’ve made Emma’s Summer salad and vegan Nutella, both a win.